I was still at work when the draw for the fifth round of the FA Cup took place. 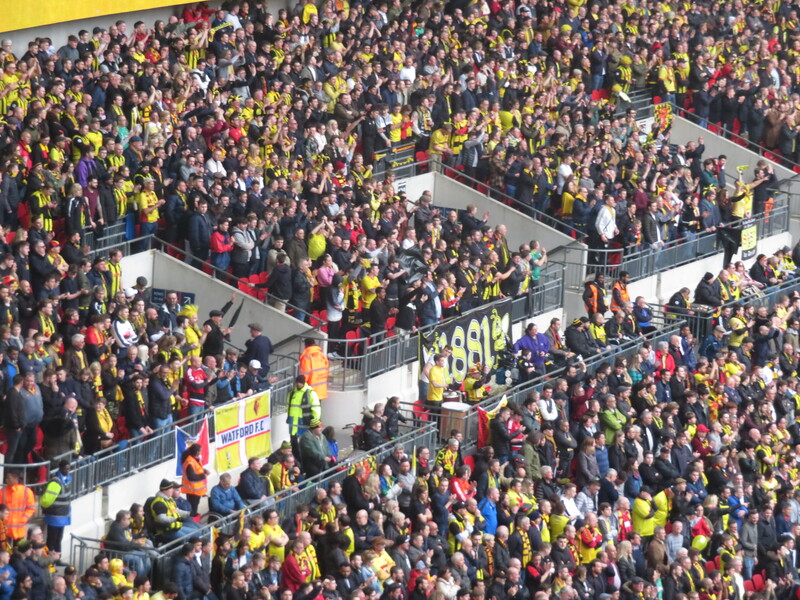 When Chelsea were pulled out of the bag to play at home, I was convinced that we would be the next to be drawn. 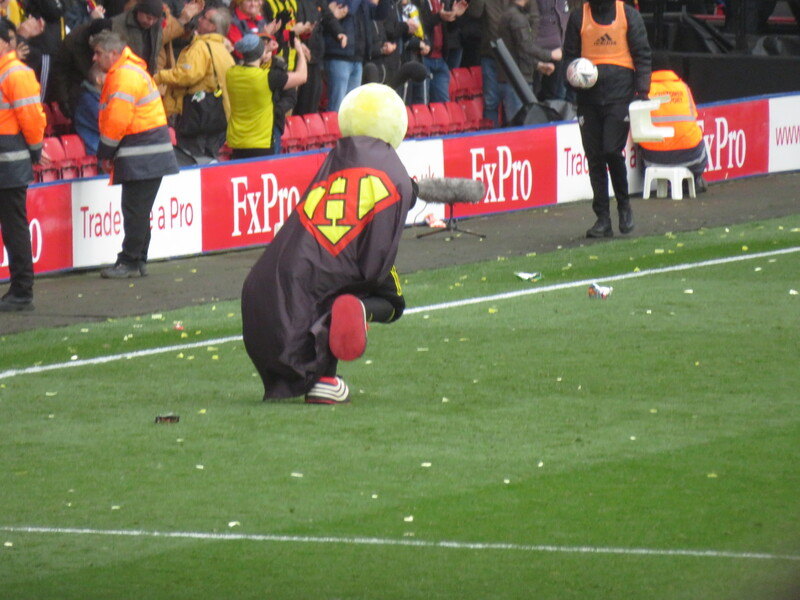 When the next ball was Man Utd, I celebrated almost as much as I did when we were paired with Portsmouth/QPR. I was thankful that the office was almost empty at this point. I would have been happy to play either team. 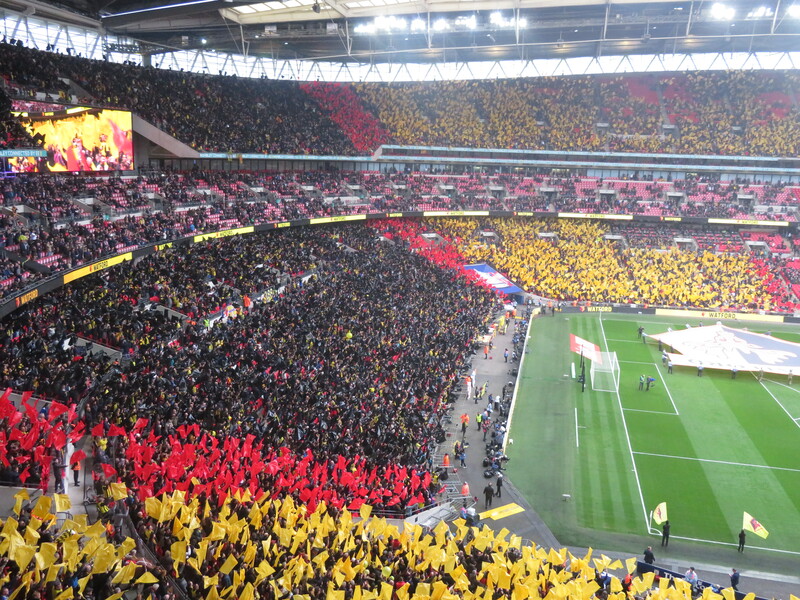 Both are clubs with passionate support and are great grounds to visit. But QPR won the replay to set up what I am told is called the South Oxhey Derby. But, before the visit to Loftus Road, I took the afternoon off work to travel to Finchley to see the U23s play Charlton. As the U23 games are played in the afternoon, I haven’t managed to make it to the new venue, so this was a great chance to do so. 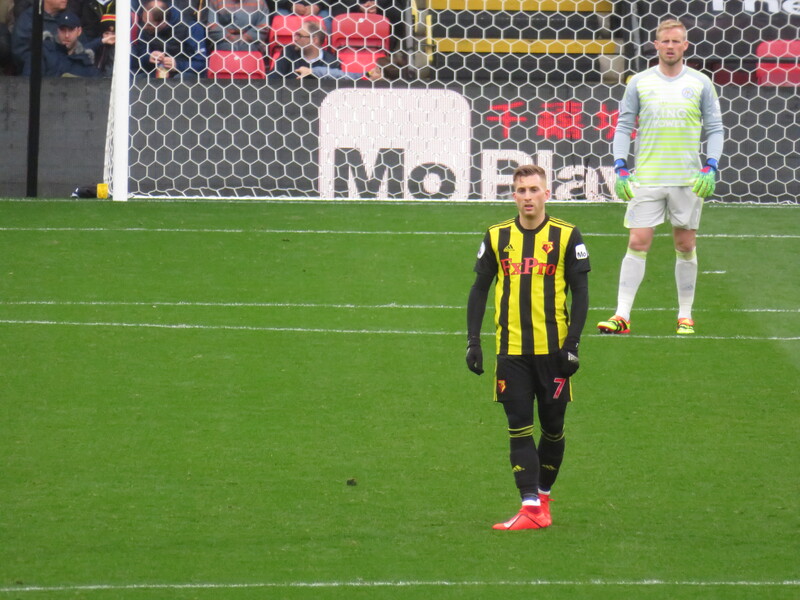 It was a gorgeous afternoon and I made the most of the opportunity to stand on the side of the pitch, although I had to shade my eyes to see the left hand goal. It was a disappointing afternoon for the youngsters. 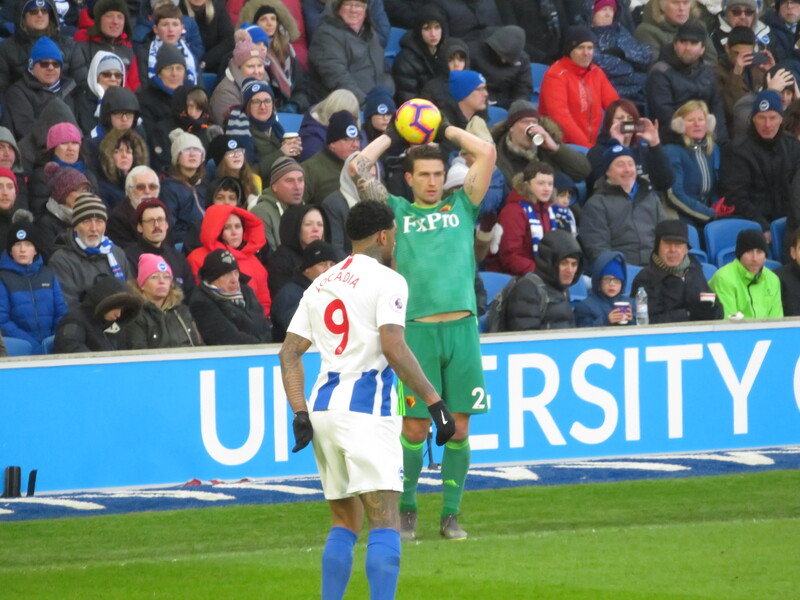 They went one down early on, but Forster got an immediate equaliser and it looked very positive until the visitors scored a second before half time. 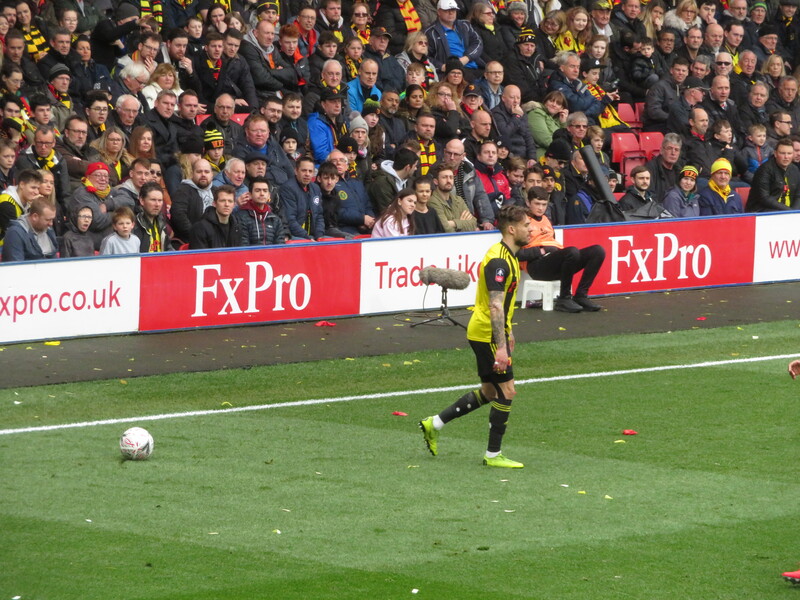 Watford never looked like getting back into the game and Charlton scored two in the second half, one of which was a cracking shot from distance. I left the Maurice Rebak Stadium hoping that would be the only defeat that I witnessed that day. 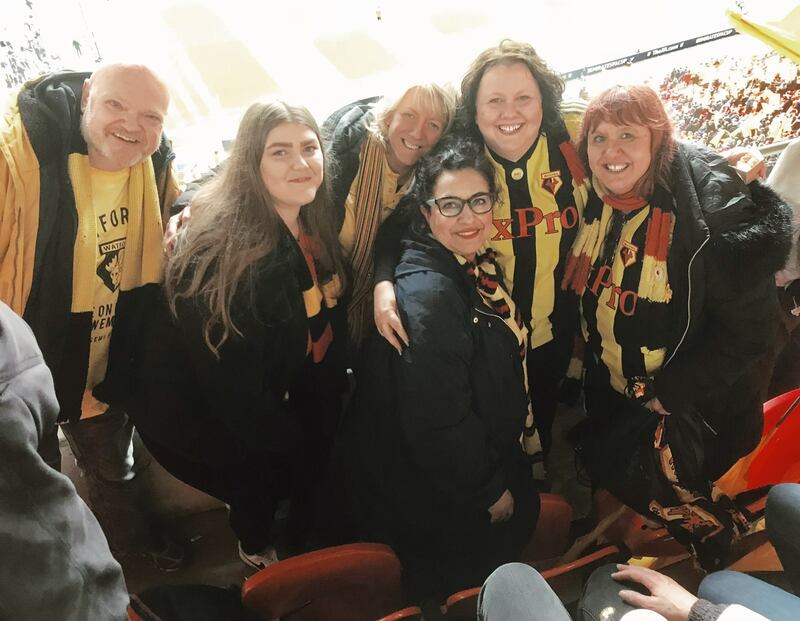 Due to the pubs in the vicinity of Loftus Road nearly all demanding to see a QPR home ticket before allowing you in, our party met at a pub near Edgware Road in order for me to hand out the tickets. You have no idea how many times I checked my bag to ensure that I hadn’t misplaced those precious tickets. Having done my Stan Flashman bit and had a nice glass of Malbec, I was ready for the game. 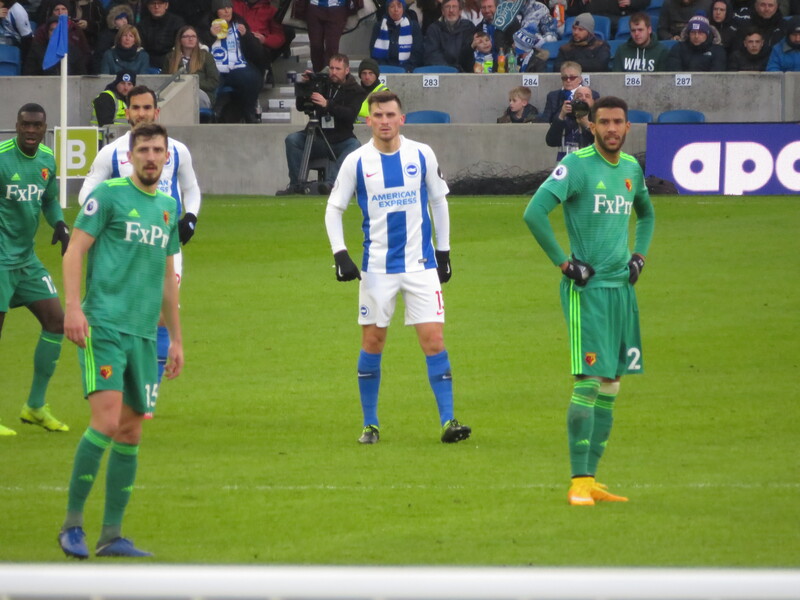 Team news was that Gracia had made five changes with Gomes, Kabasele, Britos, Cleverley and Gray coming in for Foster, Mariappa, Cathcart, Doucouré and Deulofeu. 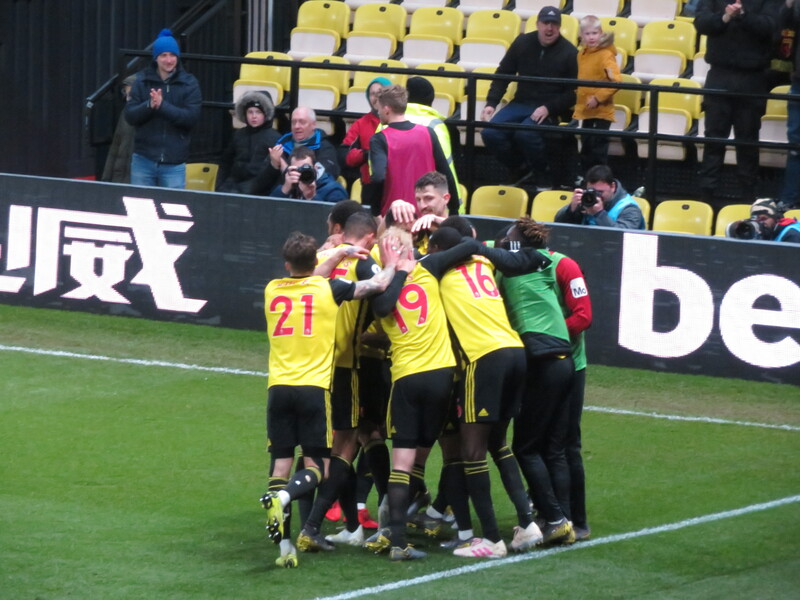 So the starting line-up was Gomes, Janmaat, Kabasele, Britos, Holebas; Hughes, Capoue, Cleverley, Sema; Deeney and Gray. This looked to be a very good side and one that should be more than able to beat QPR. But this was a cup game so all bets were off. 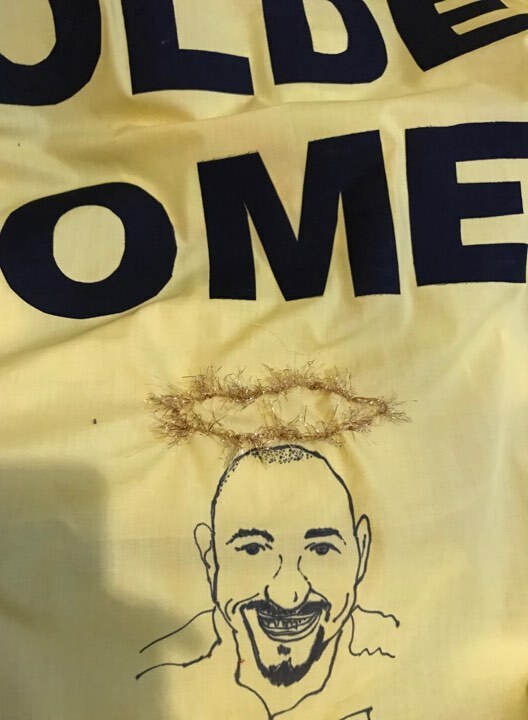 It was also Gomes 38th birthday, so I was hoping that, having to work on his birthday, he would have something to celebrate. 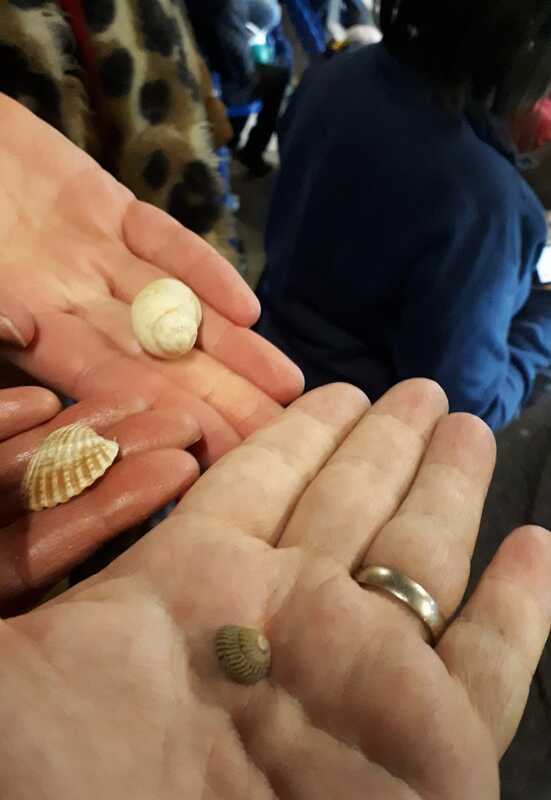 After taking our seats in the upper tier, Pete, Alice and I retrieved the lucky shells that we had been given at Woking for a group photo. These things are important. 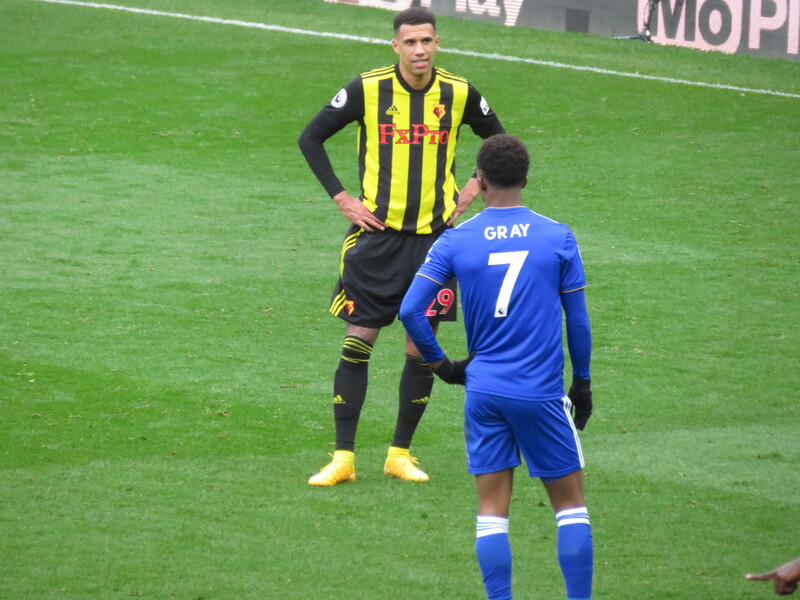 The first notable incident of the game was a clash of heads between Britos and Smith. 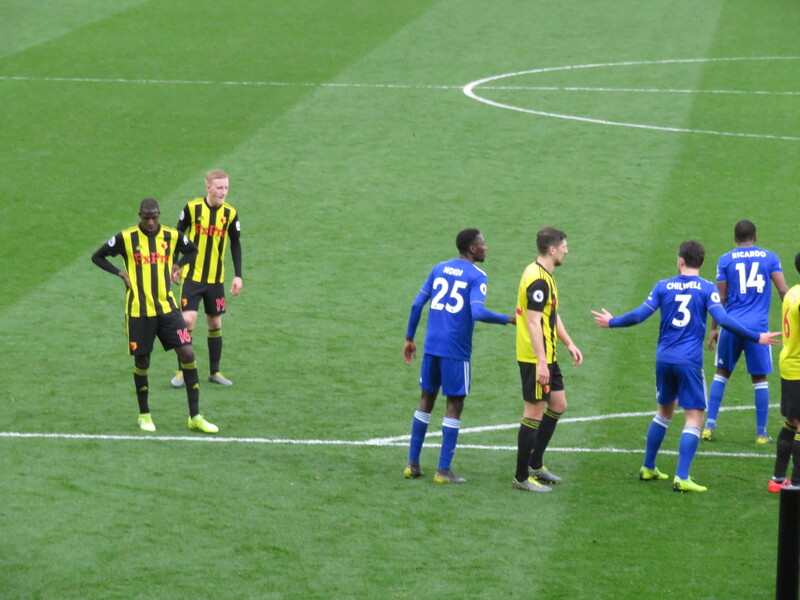 Both players were down for a while, so it didn’t look good. Thankfully, both recovered after treatment, Smith returning with a bandage around his head. 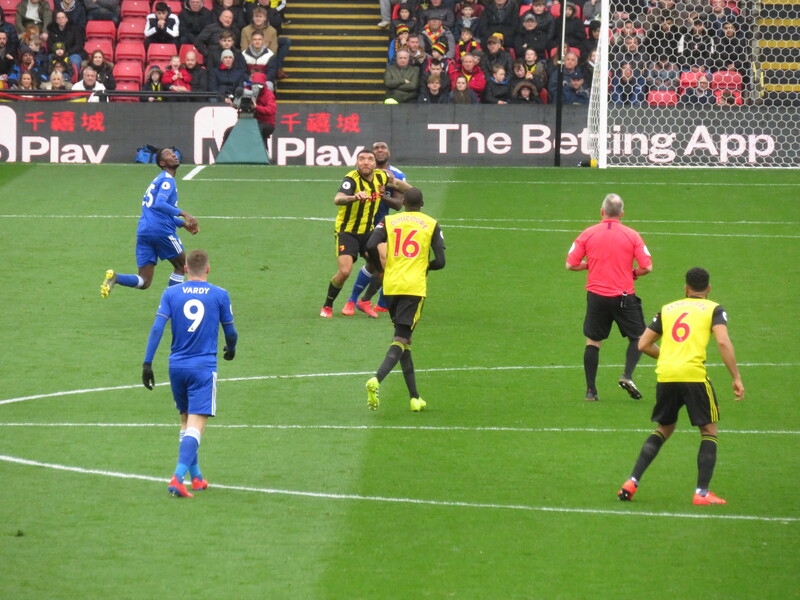 There was nothing even resembling a goal chance until the 24th minute and that was a horrible scramble in the Watford box that ended with Kabasele being hit in the face, thankfully he was able to recover and the ball was cleared. 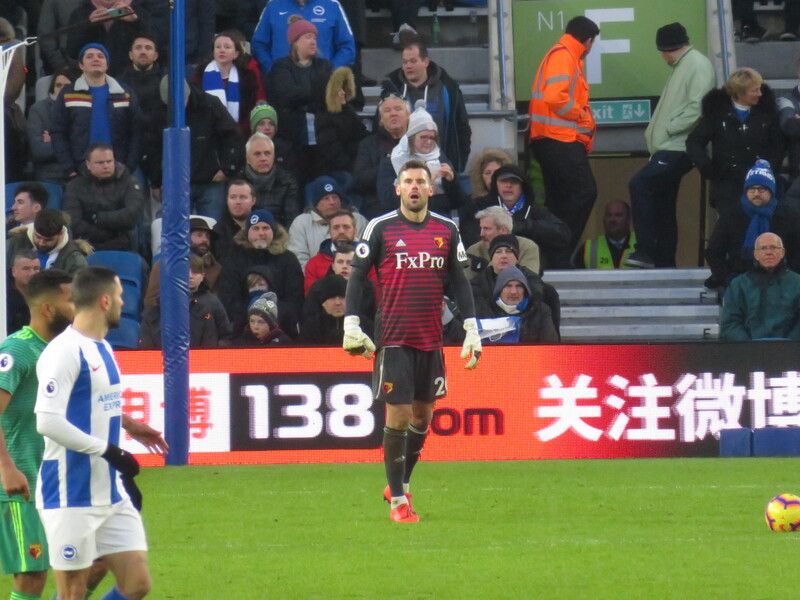 QPR threatened again from a free kick, but Gomes emerged from the crowd to claim the ball. 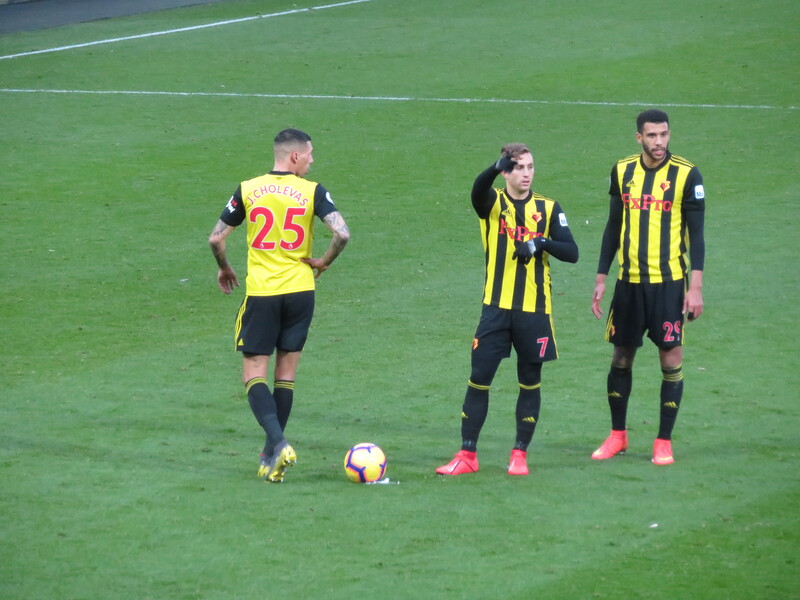 Watford’s first chance came when Janmaat, unrecognisable due to a very severe haircut, broke into the box and tried to play a one two with Sema, which didn’t quite come off but the ball broke back to him and he hit a shot that flew just over the bar. 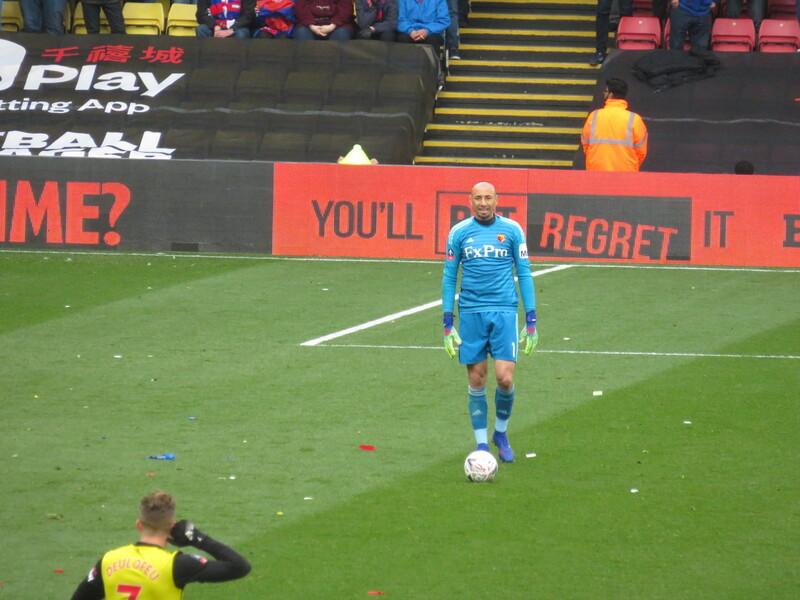 An ill-advised back pass led to Gomes conceding a corner, which he came out to punch clear, but it fell to Luongo who shot just wide of the target. 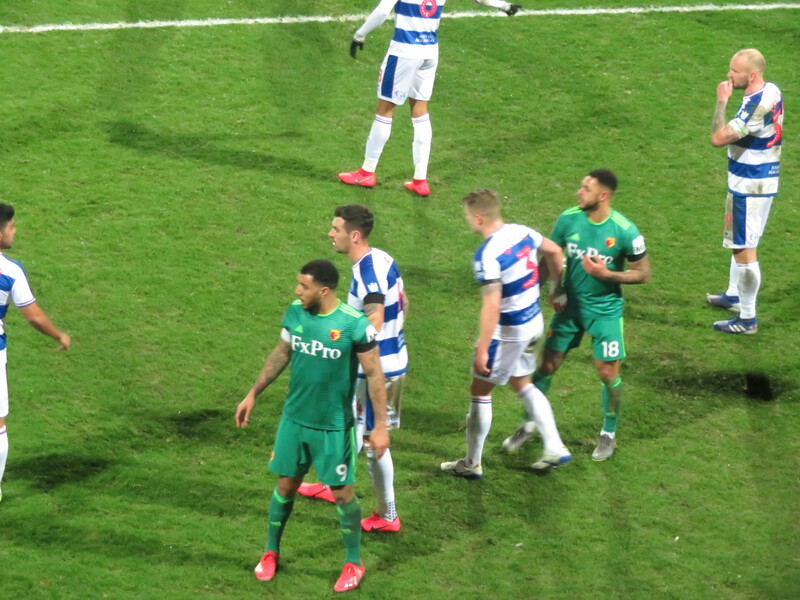 QPR had another chance to take the lead as a cross into the box was headed wide by Smith but the flag was up anyway, so it wouldn’t have counted. Kabasele then came to the Hornets’ rescue blocking a dangerous looking shot by Smith. 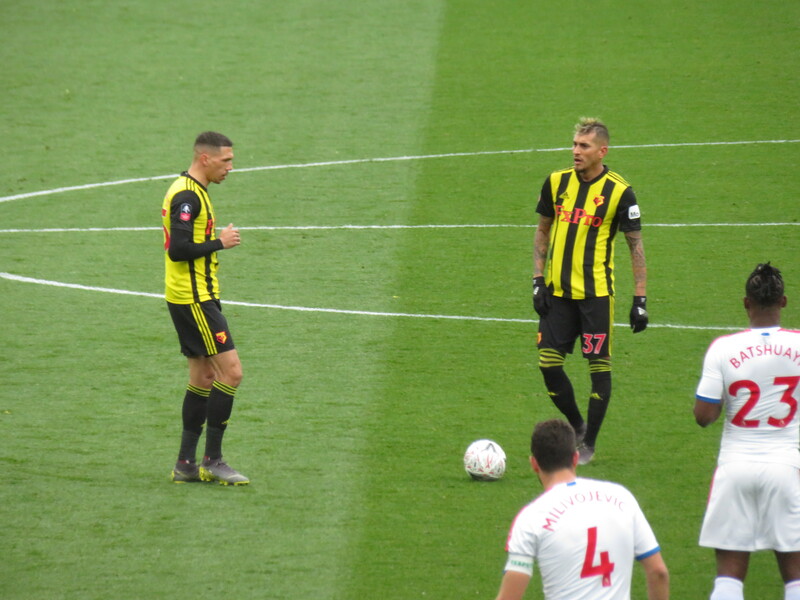 With five minutes to go until half time, QPR had the best chance of the game so far as a sloppy pass from Holebas was intercepted by Freeman who ran upfield before flicking the ball to Wells whose shot had to be tipped around the post by Gomes. Rather surprisingly, the Hornets took the lead in time added on at the end of the half. 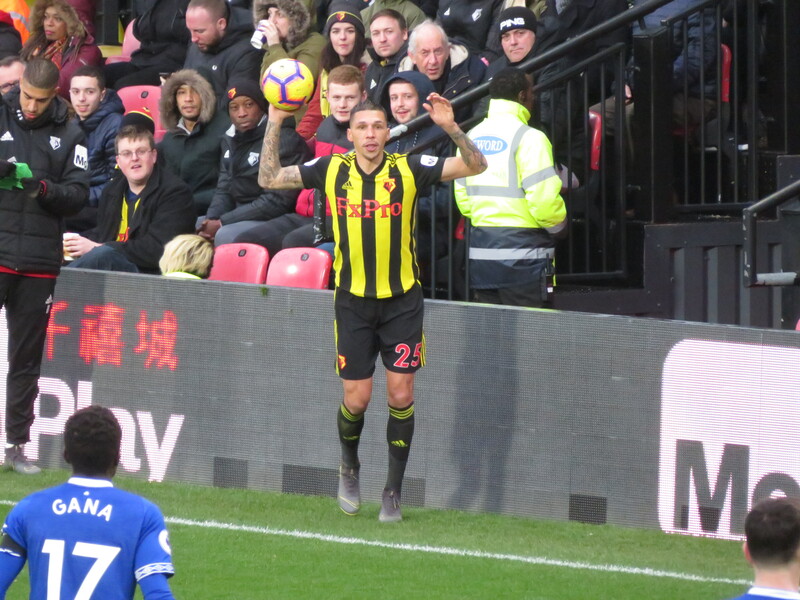 Sema played a short corner to Holebas who crossed for Cleverley whose horrendous mishit turned into an assist as it found Capoue who shot into the far corner. 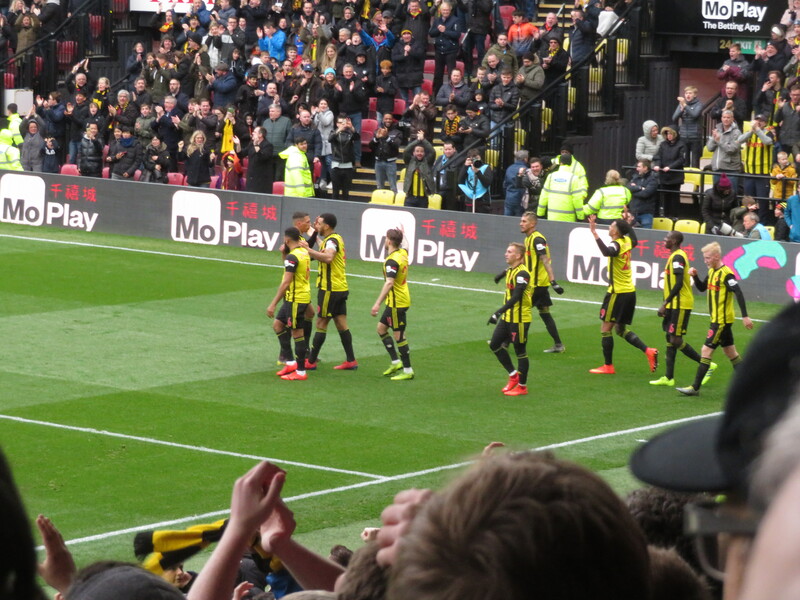 The celebrations of the travelling Hornets were joyous, but still not a patch on the celebratory run from Gomes. I have missed seeing his goal celebrations this season. So we reached half time a goal to the good after a half that had been short on excitement. 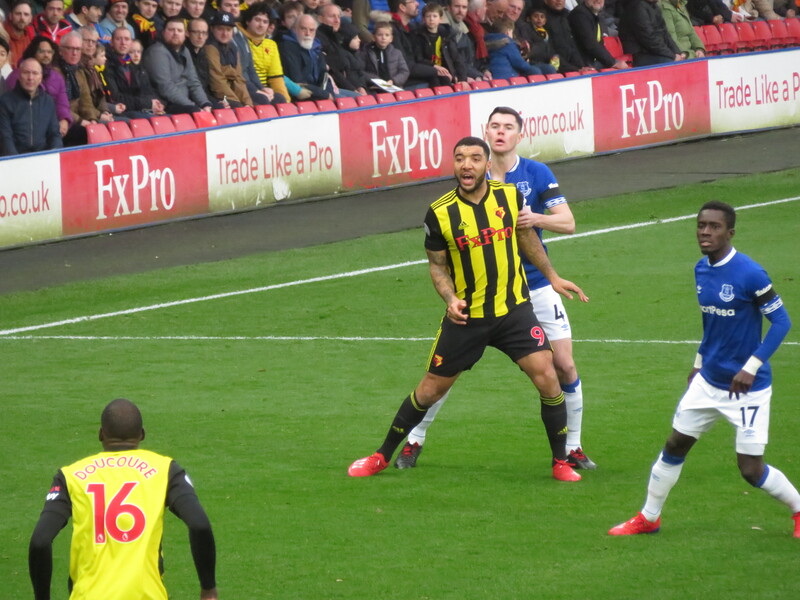 Watford had completely dominated possession, but had spent most of the half passing around the midfield without threatening the Rangers goal. QPR had been more attacking, but they had also only managed a single shot on target. The home side had a great start to the second half creating a couple of early chances, but both shots flew well wide of the target. 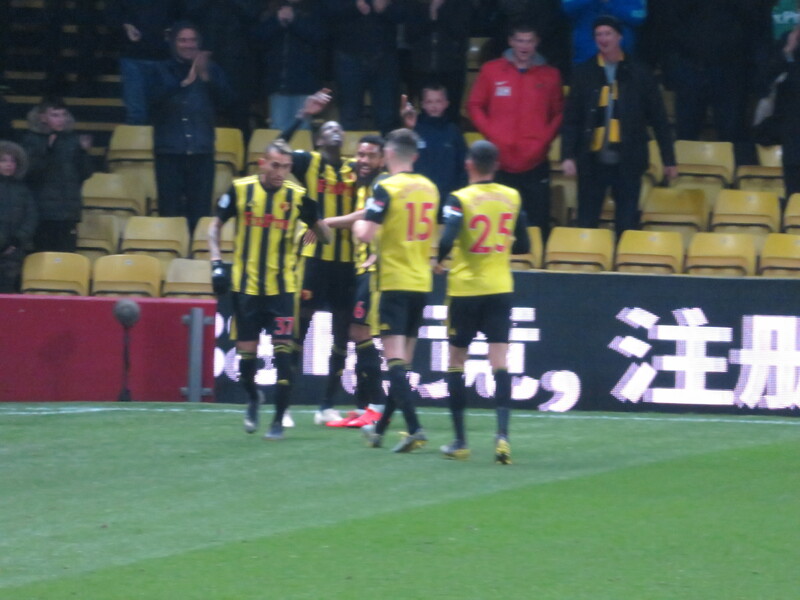 There was a let off for the Hornets as a terrible clearance from Kabasele went straight to Wells but his shot was wide of the target. Sema then provided some entertainment, demonstrating silky skills on the left of the box before finally winning a corner. The delivery was headed out but only as far as Cleverley whose shot was well over the target. 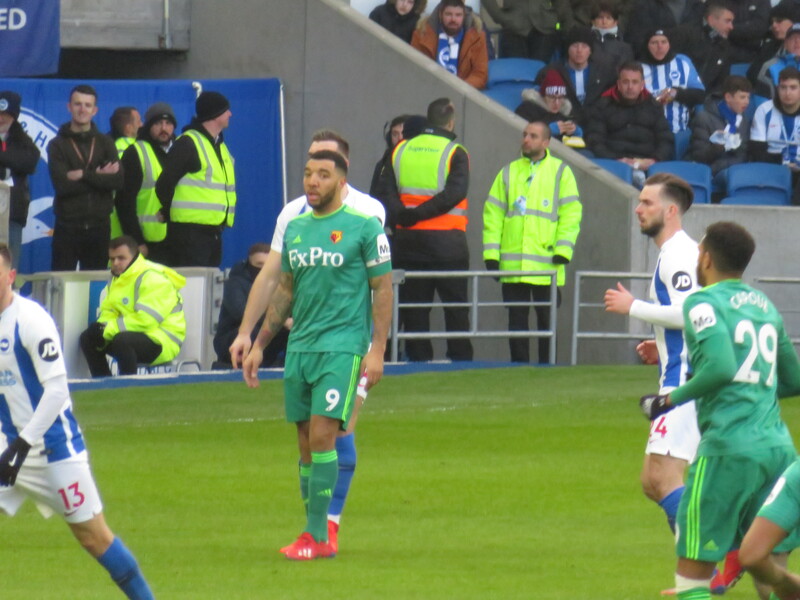 QPR made their first change on 71 minutes bringing Hemed on for Wells. 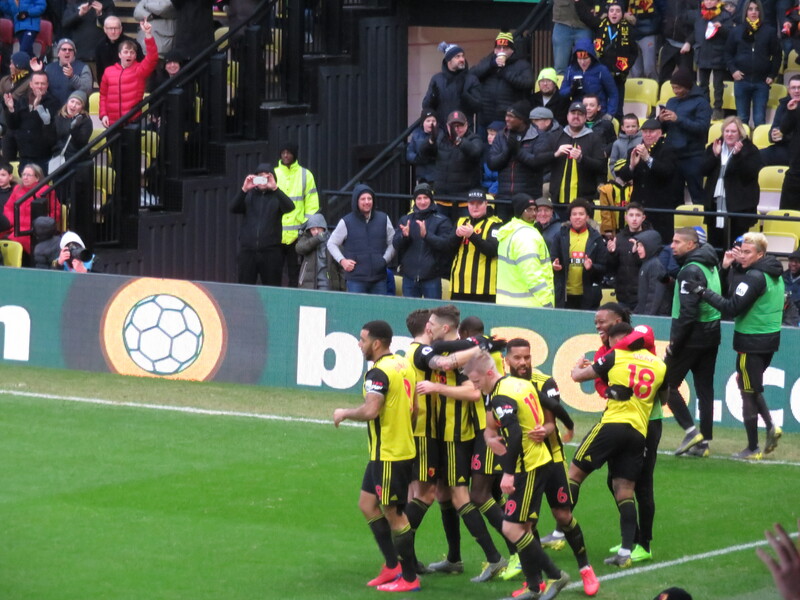 Watford had a great chance to score a second when Deeney played a lovely through ball for Gray who had rounded the keeper when he noticed that the flag had been raised, he put the ball in the net anyway. The offside decision looked marginal at the time and television pictures suggest that the goal should have stood. The first booking of the game went to Luongo for a foul on Sema. 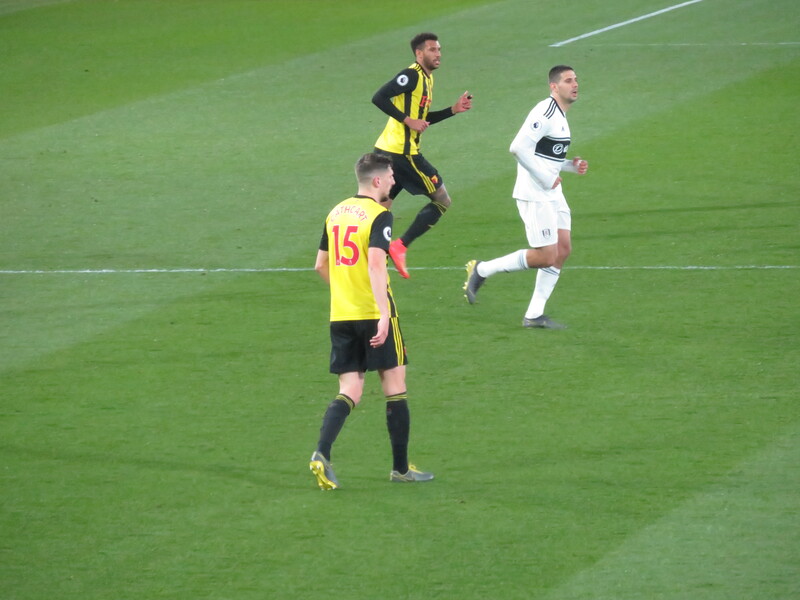 With 15 minutes remaining, Watford made a double substitution with Mariappa and Doucouré coming on for Sema and Gray. 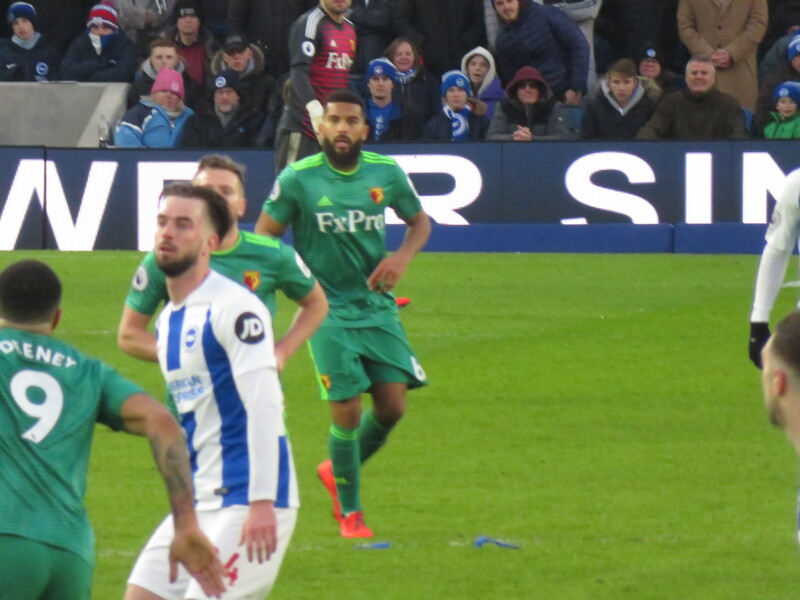 Mariappa’s first act of the game was to get booked for a foul as he obstructed Freeman. 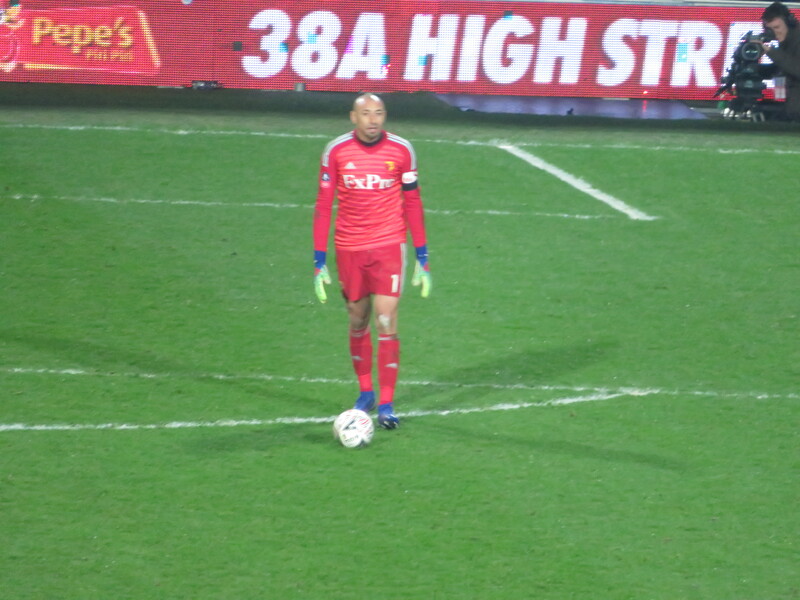 QPR made a second substitution bringing Eze on for Wszolek. 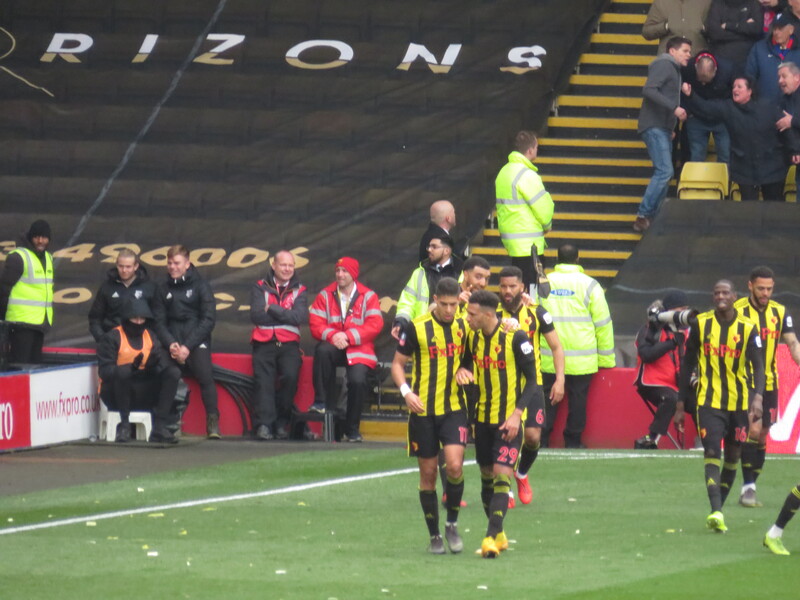 Watford threatened to increase their lead with a deep free kick from Holebas, but Kabasele could only knock it wide. 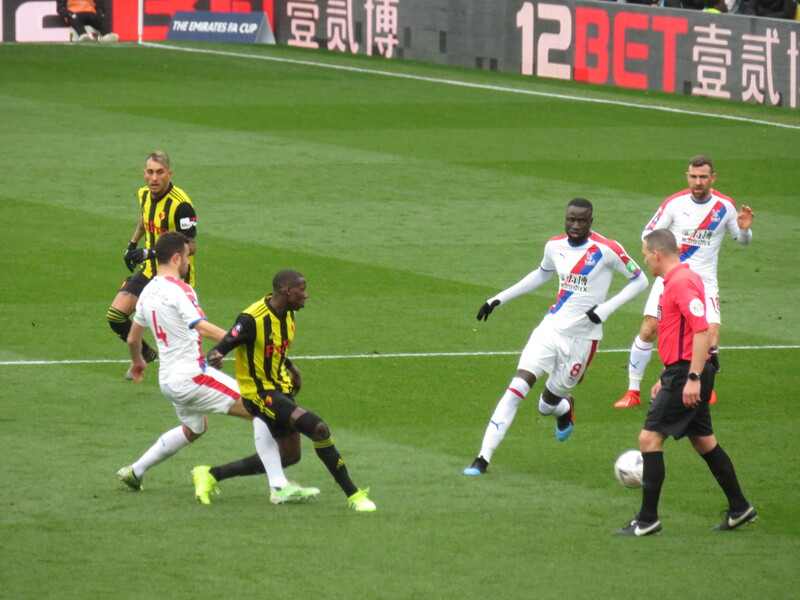 Each side made a final change with Quina coming on for Cleverley for the Hornets and Osayi-Samuel replacing Hall for Rangers. 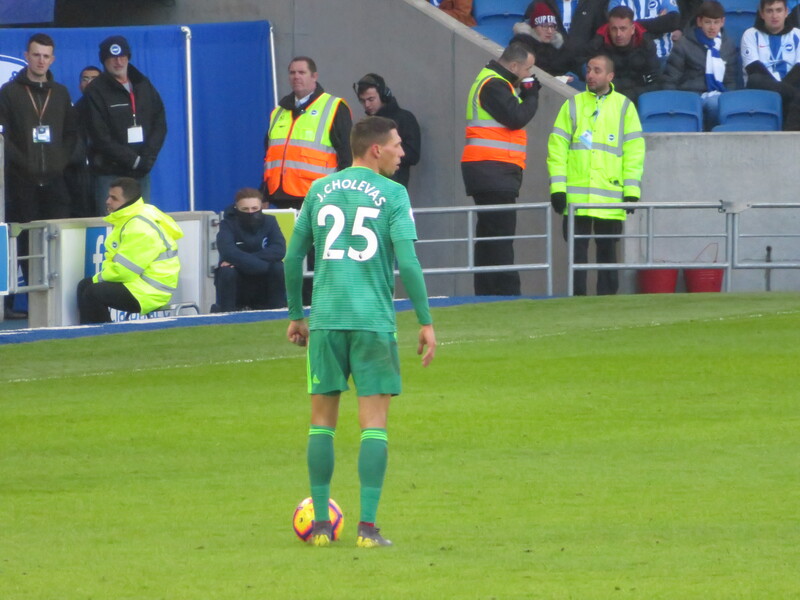 The Rangers substitute went on a good run that was stopped by Doucouré who was booked for his efforts. 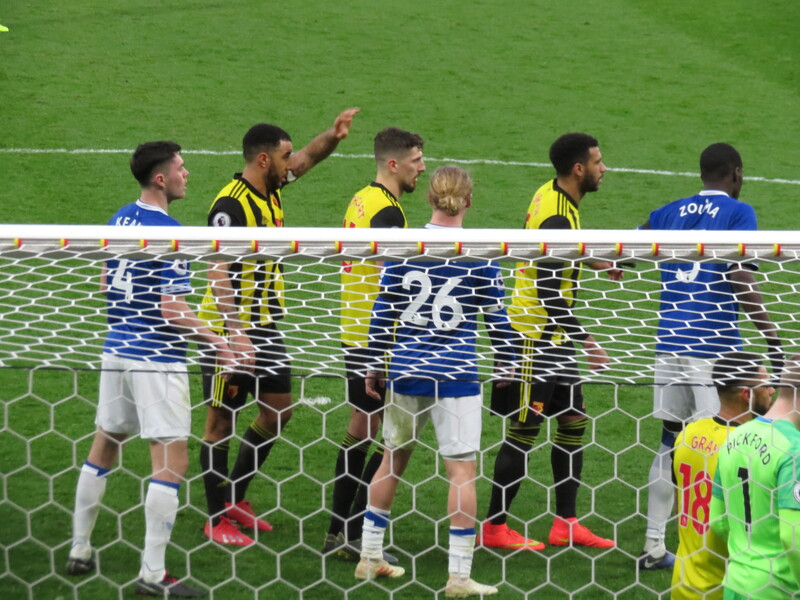 The professional foul was nearly in vain as, from the free kick, Furlong played the ball along inside the box to Leistner who really should have scored the equaliser, but managed to miss the target. 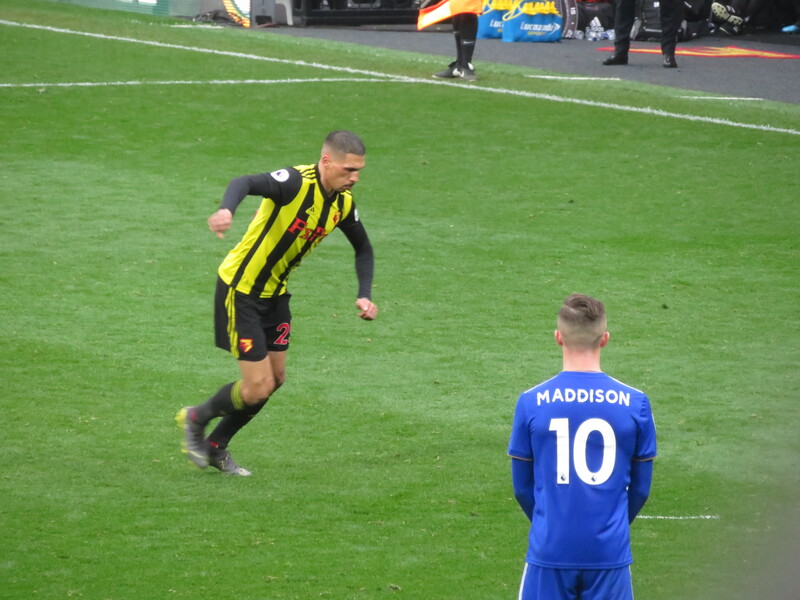 As the clock ran down to full time, Deeney gave us all a smile as he dribbled down the wing and ended up having to run around the lino in his efforts to keep the ball in (which he did). 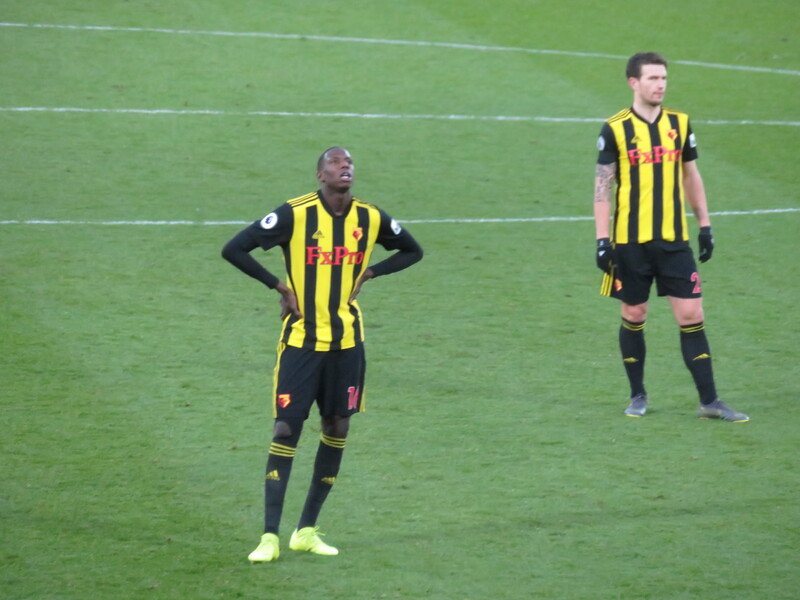 The four minutes of added time passed without incident and the final whistle went confirming that the Hornets were through to the quarter finals. As a game it wasn’t a classic, but in the cup all that matters is the result. 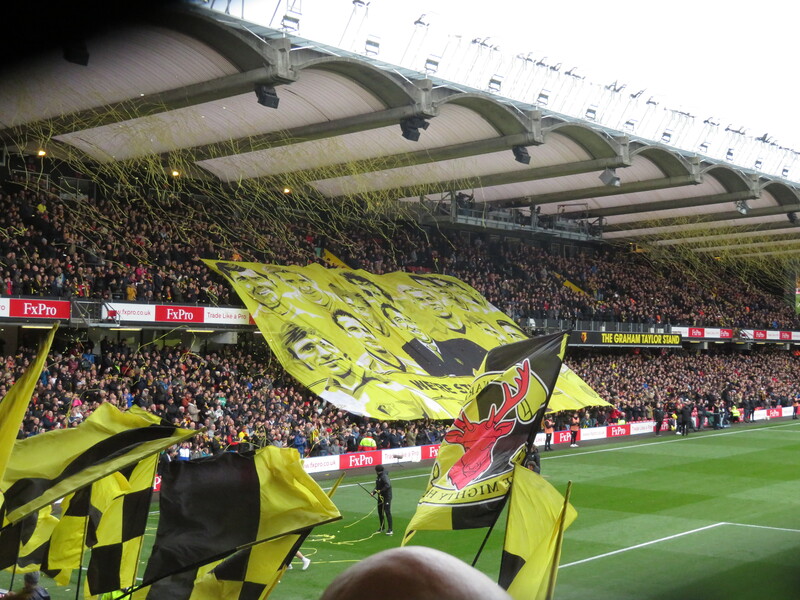 Watford were livelier in the second half and the introduction of Doucouré added a dimension that we had been missing. 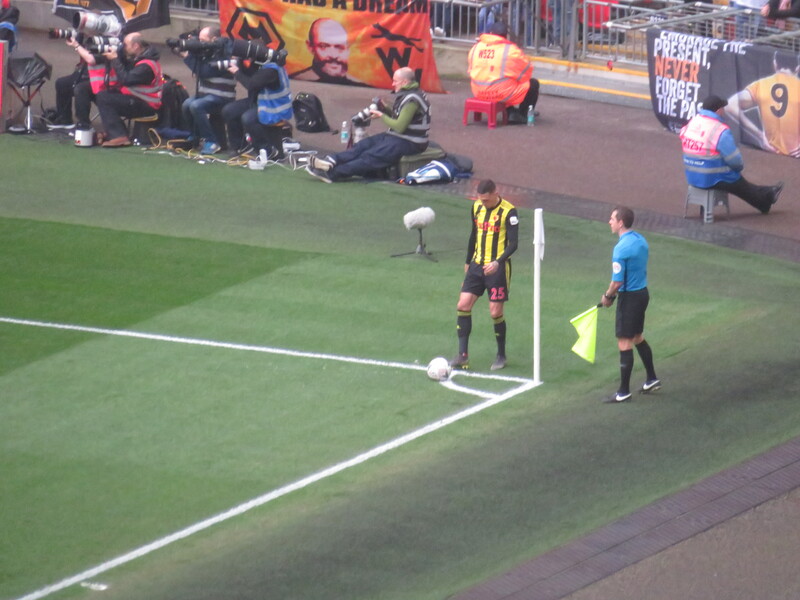 But, discounting the disallowed effort from Gray, there was no on-target shot from either side in the second half. 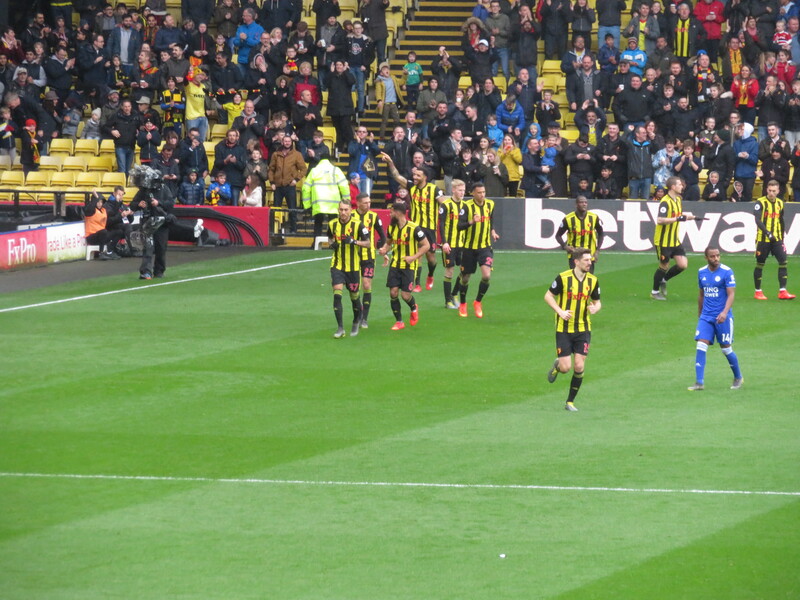 So, in the end it looked like job done from the Hornets. 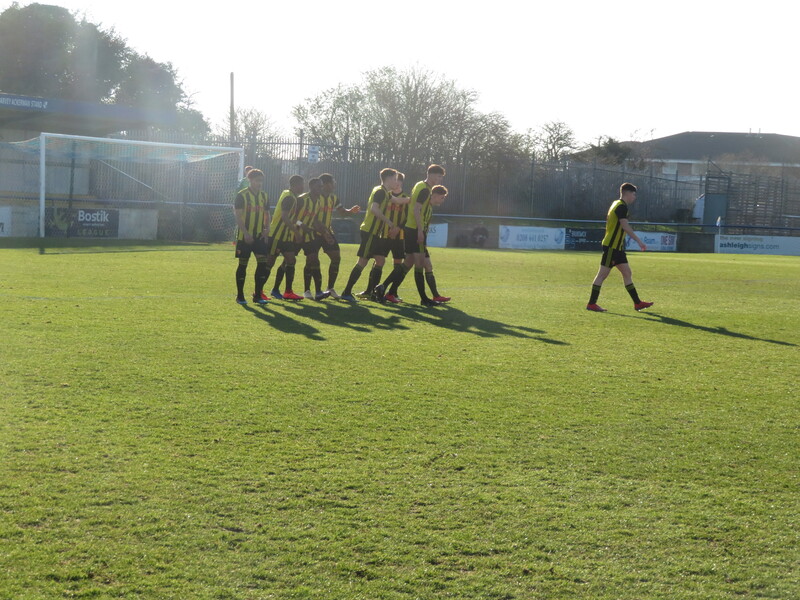 We haven’t been playing great football recently, but we are not conceding many goals and so are proving hard to beat. We headed back to Baker Street for a celebratory glass of wine. We are now in the quarter final of the FA Cup with a great chance to progress further given a favourable draw. 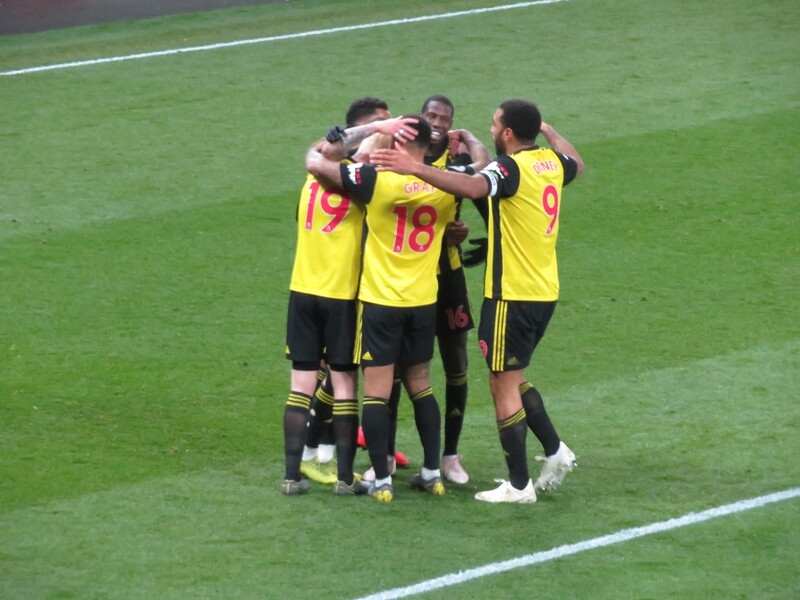 Sitting in the top 8 of the Premier League and now in the last 8 of the FA Cup, this is proving to be a very good season indeed. 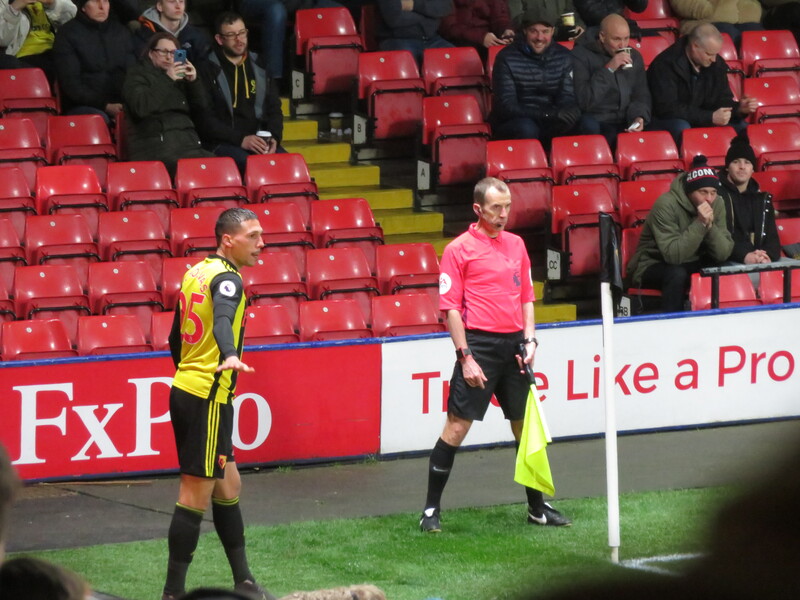 This entry was posted in Watford FC and tagged Abdoulaye Doucoure, Adrian Mariappa, Andre Gray, Bright Osayi-Samuel, Christian Kabasele, Darnell Furlong, Daryl Janmaat, Domingos Quina, Eberechi Eze, Etienne Capoue, Grant Hall, Heurelho Gomes, Jake Bidwell, Javi Gracia, Joe Lumley, Jordan Cousins, Jose Holebas, Ken Sema, Luke Freeman, Massimo Luongo, Matt Smith, Miguel Britos, Nahki Wells, Pawel Wszolek, QPR FC, Queens Park Rangers FC, Steve McClaren, Tom Cleverley, Tomer Hemed, Toni Leistner, Troy Deeney, Watford FC, Will Hughes on February 17, 2019 by franelynn.